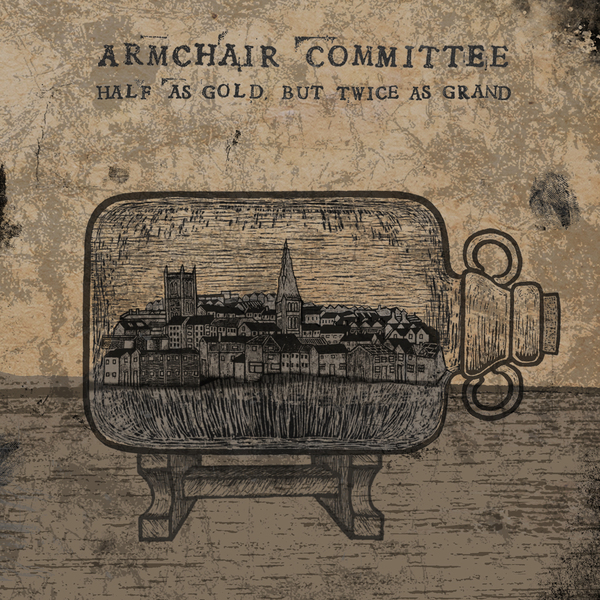 HALF AS GOLD, BUT TWICE AS GRAND - The debut album, released June 27th 2016. First Batch of CD's now SOLD OUT! Second run now available, along with CD / USB 'Album in a Bottle' combo. Recorded at Coach House Studios, Bristol with producer Brendan Davies, 'Half as Gold, but Twice as Grand' is an encompassing trip across the spectrum of the band's uncompromising and brave sound. Skirting between the raw jerky groove of 'No Socrates', to the swamp filth of 'Good Medicine Tastes Bad' to the epic slow burner of 'Roma', this is the sound of a band who are not content to rest on their laurels. Production duties were handled by Tom Dalgety (Turbowolf, Killing Joke, Royal Blood) and Sean Genockey (Reuben, Jamie Lenman, The St Pierre Snake Invasion).